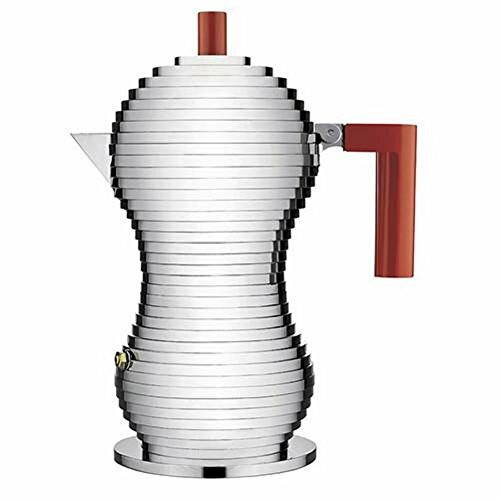 A new introduction in the popular Pulcina Stovetop espresso maker, produced in collaboration with Illy. This version has a base compatible with induction cooktops. The six cup version comes with two funnel-shaped filter: one for classic espresso coffee and the other for filter coffee, a.k.a. "American coffee". Available in 3 cup and 6 cup (espresso, not fluid ounce) sizes.